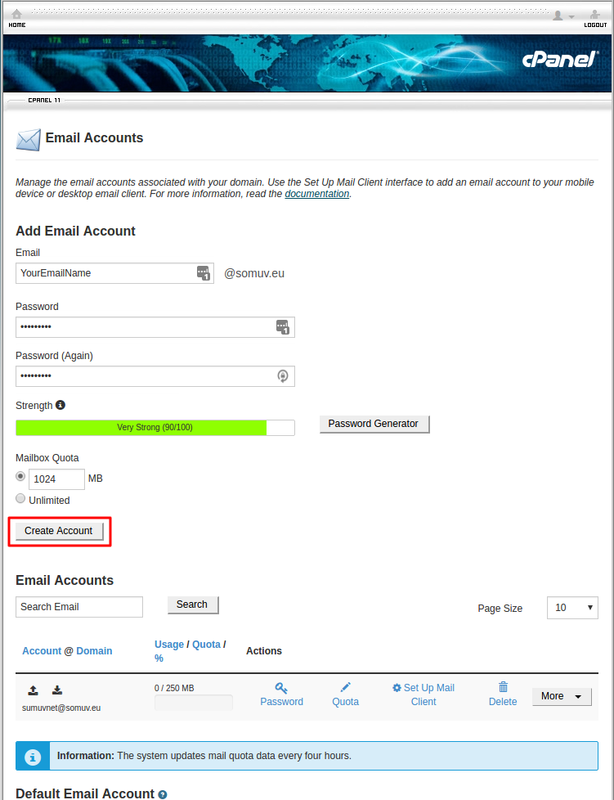 In this tutorial, we will show you how to setup your own email account on cPanel. Step 2 — Locating “Email Accounts” section. 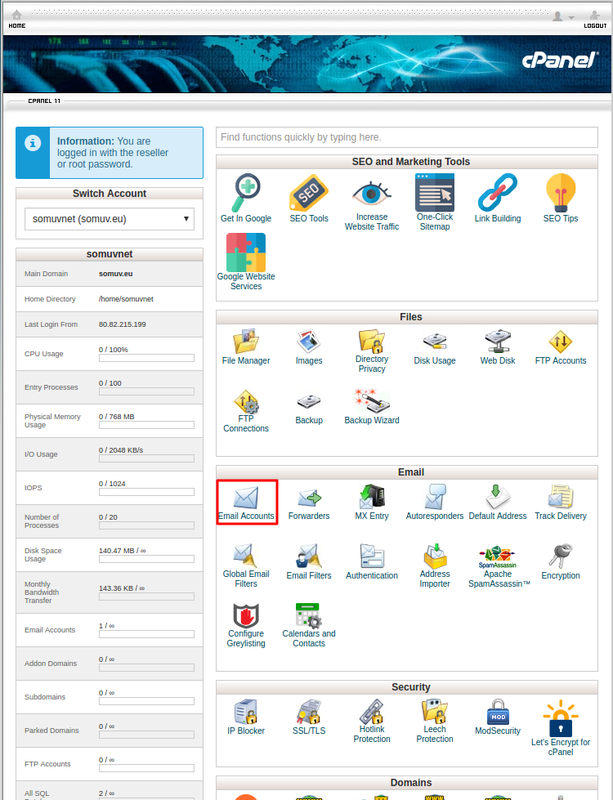 You have successfully entered your cPanel, now you should locate “Email” section and click on “Email Accounts” icon. 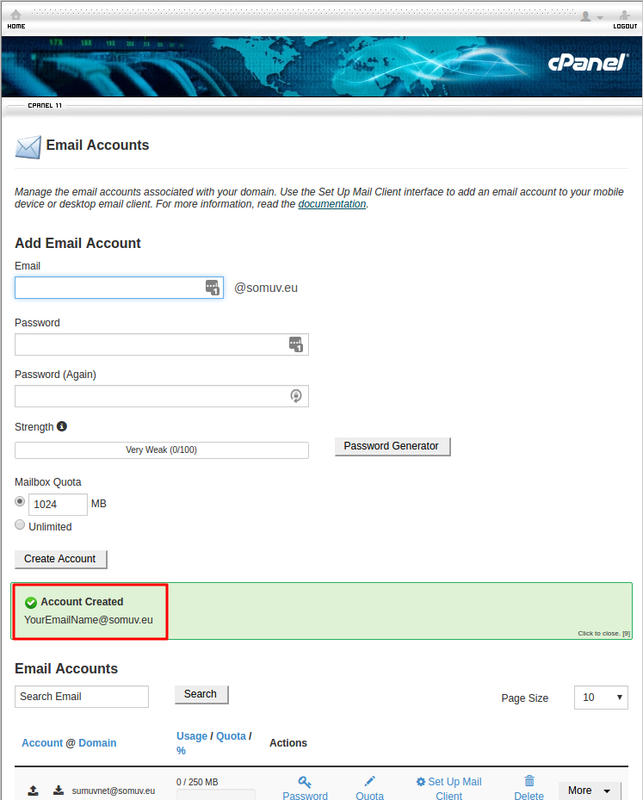 However, if you cannot find “Email Accounts“, please contact your hosting support team and they will gladly assist you. Now you can proceed to create your own email account, all you have to do is to specify what username you want to use with your domain name, for example, you can select to use yourname@yourdomain.com. You will be asked to enter the password for your new mail account, we recommend using at least one uppercase letter and one digit in your password. You can setup your Mailbox Quota now. Mailbox Quota – setting the storage for your mailbox. It gives you two options by default. The standard option is 1024MB and the other option is unlimited. If you set the mailbox quota to 1024MB, once the limit in size is reached, you will not be able to receive emails since the mailbox would be deemed full. If you set it to unlimited, you will never actually fill up your mailbox. If this will be your only email account then you should not worry about it and just select Unlimited. After we have filled in all of our details, we should click on “Create account“. If everything was filled correctly then you should receive a message that your Account was created successfully. Congratulations, you have successfully setup email on cPanel. However, if you are receiving some kind of error message then please contact your hosting provider and they will be able to help you with this issue.